WorldofVolley :: CL W: Scandicci conquer Lodz, Budowlani victorious in Cannes! CL W: Scandicci conquer Lodz, Budowlani victorious in Cannes! 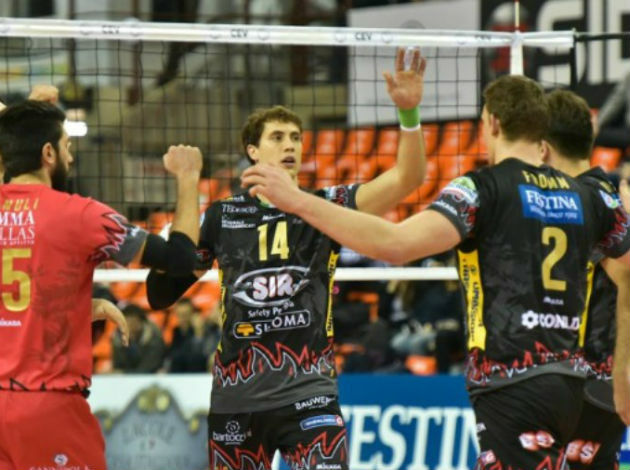 The Italian side has scored the third win in the CEV Champions League. Some 2,000 fans attended the match held at Sport Arena in Lodz. It was an important win for Scandicci since they are one step close to confirming a spot in the quarterfinals. The Polish side gave a resistance in the first two sets, while in the third their display dropped and they surrendered. The Swedish opposite of Scandicci, Isabelle Haak, who scored 21 points for the winning side, received the MVP award provided by VitaDiet, one of the sponsors supporting LKS Commercecon Lodz. Budowlani Lodz have also taken an important win in the fourth round. They defeated RC Cannes away in the tie-break game.